The principal of ACK Maseno Institute of Technology Duncan Osotsi has been removed from office after it was discovered that he had registered the institution as personal property, thus is the sole proprietor. 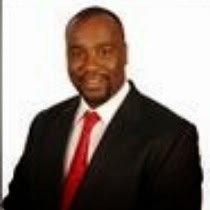 Luanda MP Chris Omulele led local leaders on a one kilometre walk from Maseno Lawcourts to the institution and asked Osotsi to hand over after Maseno acting Senior Resident Magistrate Millicent Nyingei threw out restraining orders obtained by Osotsi barring the local community from accessing the institution. They explained to Osotsi that the running of the institution was now in the hands of Vihiga county director of youth training Cyrus Wanyonyi under an interim management committee. Emuhaya deputy county commissioner Muthama Wambua, Luanda deputy sub-county administrator, John Ong’onda and Mukhalakha ward administrator John Ong’ute attended the meeting in the principal’s office. Armed police led by district AP commander Pius Sambu and Luanda deputy OCS Fredrick Koech anticipating trouble kept vigil at the institution but the takeover was peaceful. The local community has unsuccessfully been trying to meet the principal several times over several issues including alleged run-down of the institution but the principal moved to court blocking any meeting and obtained an order banning the community from visiting the institution alleging the residents were plotting a takeover of the school. In the restraining order, he singled out a medic, Jason Amukonyi, Kenneth Kasuku and Wanyonyi. He accused Dr Amukonyi, the Vihiga MOH, Kasuku, Ekwanda Primary School together with the youth official of interfering with running of the institution. MP Omulele opted to defend the three in court, arguing before Nyingei for the restraining orders to be discharged with as it infringed on the rights of his clients, since the institution is a public institution set up on community land. Through court papers, it was found out the principal registered the institution set up in 1968 as a sole business entity when it was upgraded from a polytechnic to an institute of technical training. It was resolved that members of the interim management committee who will run the institution for one month shall include area MCA Joshua Sibiya, Ong’onda and Ong’ute. The MP will sit on the committee on advisory role while the community will nominate three representatives..